Air101: PIA to end US flights. PIA to end US flights. 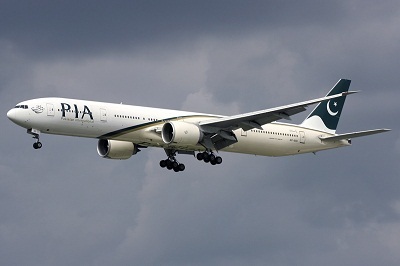 Pakistan International Airlines will be ending their US-bound flights from the end of October, a leading local news media outlet is reporting. The airline is suffering huge financial losses on flights to and from the United States of America of up to 1.25 billion rupees a year according to the reports. However, the airline is facing much pressure from the government and leading politicians (most with dual nationality) to continue the services. Despite the local media reporting the end of US-bound PIA flights, we found they were still being offered for sale via the PIA website for dates after November and into next year. "We are in the process of devising a strategy for our flights to the United States, and will have something more concrete by Monday", PIA Spokesperson Mashood Tajwar said while talking to local media.